Jet Airways chief operating officer (designate) Subodh Karnik is learnt to have quit the airline. This is the eighth top-level exit in the airline in recent months. 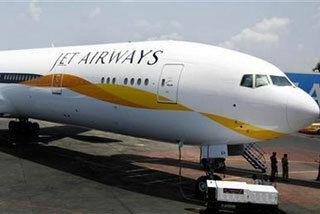 Jet had appointed aviation industry veteran Subodh Karnik as its chief operating officer in July this year. Karnik was mandated to oversee commercial and sales functions of the airline. He took over from Hameed Ali, who joined the airline’s board. 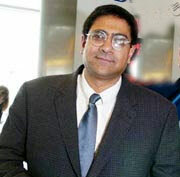 Before joining Jet, Karnik worked as a vice-president with consultancy firm ICF International. He has previously been employed in senior roles in marketing, strategic planning and finance departments of North West, Continental and Delta Airlines and was president and CEO of Global Aero Logistics, the largest provider of private air charter service to the US military. with Jet Airways. An Omani national, he was on the board of Jet between 1994 and 1997 when Gulf Air held a stake in the carrier. He was in-charge of the Gulf region and was brought back to Mumbai last year. El Ariss, a Lebanese national, joined Jet in 2012 and was in-charge of its cargo business. There have been eight high-profile exits, including the latest departures, from Jet Airways after Etihad Airways acquired a 24 per cent stake in the Indian airline. These include chief executive officer Nikos Kardassis; vice-president (investor relations) K G Vishwanath and chief commercial officer Sudheer Raghavan. Gary Toomey, former chief financial officer of Qantas Airways, who replaced Kardassis, left the airline within six months of taking charge. Ravishankar Gopalakrishnan, the airline’s chief financial officer who also officiated as the CEO in the interim, too, quit in May. The airline has now appointed Cramer Ball, a former chief executive from Air Seychelles. The takeover also led to an administrative reshuffle, with Sonu Kripalani, who headed sales, being given the charge of guest experience. Post the tie-up with Etihad, Jet Airways has also announced it will discontinue its no-frills service, Jet Konnect, from December 1 to offer a single, full-service product on its entire domestic network. The airline has firmed a three-year business plan to return to profitability by 2017. 'Whistleblower' navy sailor illegally detained?